Och, they're not half bad mate! Nice, sweeping views of the Narvesen, Adidas and Adressa stands. I have some videos that will get onto Youtube at some point too. Steffen Iversen's shirt ripping was funny, i hope that doesn't happen to the long sleeved home shirt i bought from the shop. The best shirt in the Tippeligaen. What are the traditional foods in Trondheim ? I like to cook and i've never cooked scandinavian food. I guess maybe you are expert people in cooking fish ? Our national dish is "f�rik�l". It means "sheep in cabbage". That might seem terrible, but actually it's quite good (even better the day after). September is the season for this dish in Norway. I checked the photos and it looks absolutely delicious. When i'll have time, i'll cook it, and i'll come back to say what i felt ! But i see that we have this kind of food in the center of France. Traditional food in Trondheim? I don't know. There's a meat, meatballs and vegetable soup called "Innherredssodd" that is named after a region near Trondheim (with variants called Tr�ndersodd and Trondheimssodd if I am not mistaken), but it is not something we eat more than pizza, kebabs and tacos, speaking for myself. It's a well known dish because it has the advantage that if you need to prepare food for 20-500 people, sodd is most likely the easiest way to go. And some places you get the traditional "skjenning", a sweetened flat dry bread that goes well with some dishes. Yes it doesn't look like soup. When i was younger, i liked the band "Arcturus" very much. Is this group very famous in Norway ? I am a supporter for a long time (used to be a member here on the name of Yigit before I lost my password :/ ) I am finally living the dream and will visit Trondheim. I will be stayin in �re in Sweden, I have a car so will make a daily trip to Trondheim. 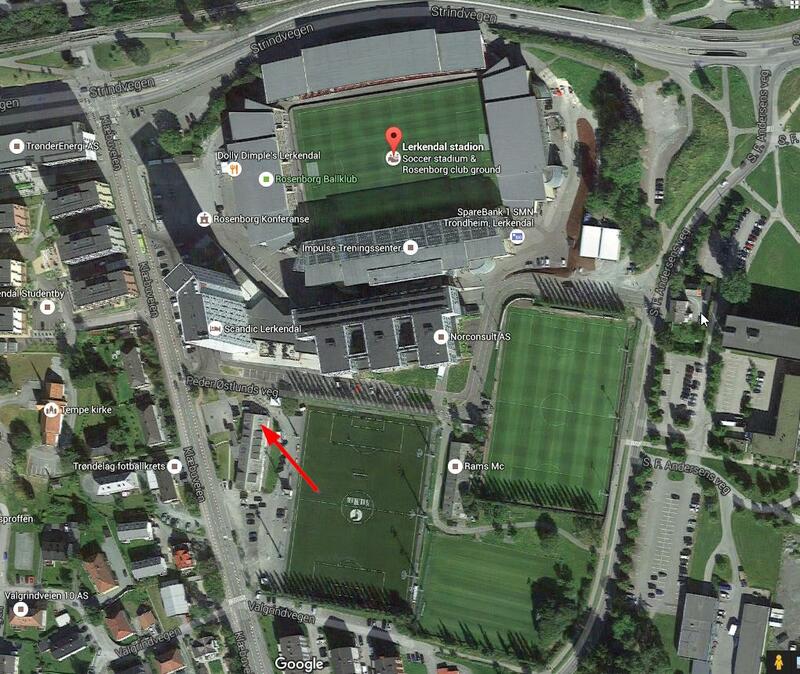 I want to visit barracks, get a shirt, and potentially see Lerkendal, but is Lerkendal open for visits? I will be around �re for the next week so will be missing Norrkoping game by a week, but still willing to see the stadium. And any suggestions on what and how to do these? Recommend: Nidarosdommen, Bakklandet, Kristiansten festning, Brakka ( you can probably walk in and have a cup of coffee). Walk Hospitalsgata (Hospital road) and Dronningens gate (Queen's road) from Skansen (City gate) in the west to the river in the east. You'll see lovely parts of the city. Depend on what you prefer. If you like to be among the singing fans it's the Kjernen stand. If you just want to sit down, relax and watch the game, you can pretty much buy a ticket at any other area. The upcoming game against Sarpsborg will be far from sold out. So there's no problem buying a ticket at the stadium. Thanks for the tips guys, all very helpful! Any chance to leave the car around? Is it ok to drive near the stadium an hour ago and find a space to park or sth? Will be at the Kjernen, will contribute to the noise as much as I can! And where exactly is Brakka? I triedto find the address online but failed to do so! Is it on Sluppenvagen? The red arrow speaks the truth. Someone else will have to weigh in about parking.. They have quite high capacity for cars. Following the "stream" of RBK-shirts to Lerkendal. BS... No problem finding a spot to park. Personal tip. Park at the area right to the right training ground you see on that picture. If you're there at least 30 min before the match it's no problem finding a spot there.